Police in South Australia are only staying on the job for an average of 8.7 years. The reason for the high turnover? High levels of stress and on the job injuries are forcing more officers to see treatment for mental health issues. Three years ago the average career for officers who resigned or were fired lasted 9.1 years — but in the last financial year that figure had dropped to 7 years. 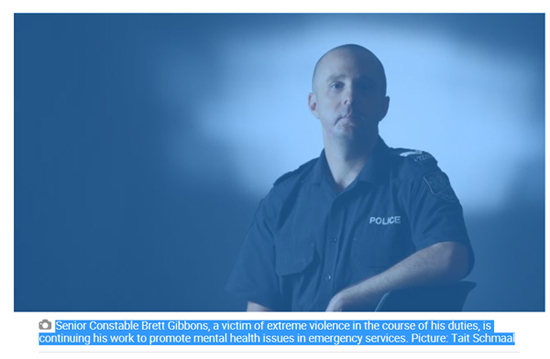 Senior Constable Brett Gibbons, an emergency services health advocate with the agency aid the figures were in keeping with other Australian police services — officers typically had either had a long-term career or left within a few years because of the pressure of the job. Former police minister Robert Brokenshire said he had inquired about the welfare of police officers because numerous officers had contacted his office seeking help. He said they had told him of the terrible toll stress was taking on themselves and their families.